There are many expenses involved in running a business. One of the more expensive line items is office equipment. It’s especially frustrating because technology is constantly changing and it always seems as if what you have is not enough or already outdated. A viable option for the business trying to conserve costs is reconditioned or refurbished equipment. Reconditioned and Refurbished - What Does It Mean? There are many benefits to buying refurbished equipment and the biggest one is cost. These machines have been restored to their factory settings and are a cheaper option than buying brand new. It’s also a good way to get models that aren’t quite in your budget by choosing a refurbished piece. They still perform the tasks you need, sometimes do even more, but are a cost-friendly way to update your equipment. Buying refurbished equipment also helps in environment sustainability efforts. This option re-purposes equipment that could have been headed to landfills. It also cuts down on the amount of new equipment being produced which reduces the use of new resources. Before buying any refurbished items look for ones that have been ‘factory reconditioned’ or ‘factory certified.’ This ensures that they have been tested by the manufacturer, inspected by expert technicians and the device is of the highest quality. Another important item to look for is product warranty. If the equipment doesn’t have it, don’t buy it. The products provided in the reconditioning and refurbishment program undergo a complete refurbishment and testing processes, fully restoring them to meet ODS’ stringent quality standards and ensuring they meet all original factory specifications. 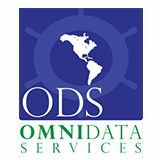 If you have a limited IT budget, ODS’ line of refurbished products is the perfect alternative to buying new — you get quality solutions at a lower cost. Contact us for more information on our line of new and refurbished IT products.